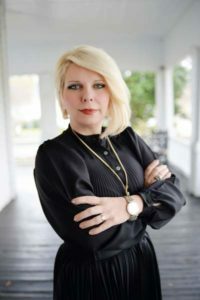 April D. Porter recently received advanced level training, from the American Association of Premier DUI Attorneys, on how to use fatigue and drowsiness to fight DUI cases. April received training on the how drivers arrested and prosecuted for being under the influence of alcohol and/or CNS Depressants can easily be misdiagnosed and wrongfully arrested for DUI when they were simply fatigued or drowsy at the time of the incident. The information in this training was provided by Adam Pollack. Mr. Pollack is an AAPDA Executive Member of the Association. Mr. Pollack’s office is located in Orlando, FL and his website is http://orl-law.com/. Institute on a variety of family law topics. She has collectively served as both a private and volunteer Guardian ad litem and an attorney for the Chester County guardian ad litem program for more than 20 years. Ms. Porter has served on the Piedmont Citizen’s Committee for Judicial Selection, the Board of the Good Samaritan Medical Clinic, as the district chair for the Young Laxsyer’s Division and as an adjunct professor for business law. Ms. Porter has appeared on national television as a legal expert and has written articles for publication. She earned her BS degree from the College of Charleston and her J.D. degree from Mississippi College School of Law. NIs. Porter is married to Colonel Robert Dixon Burton and is the proud mother of her four children, Trey, Noble, Barrett and Ella.